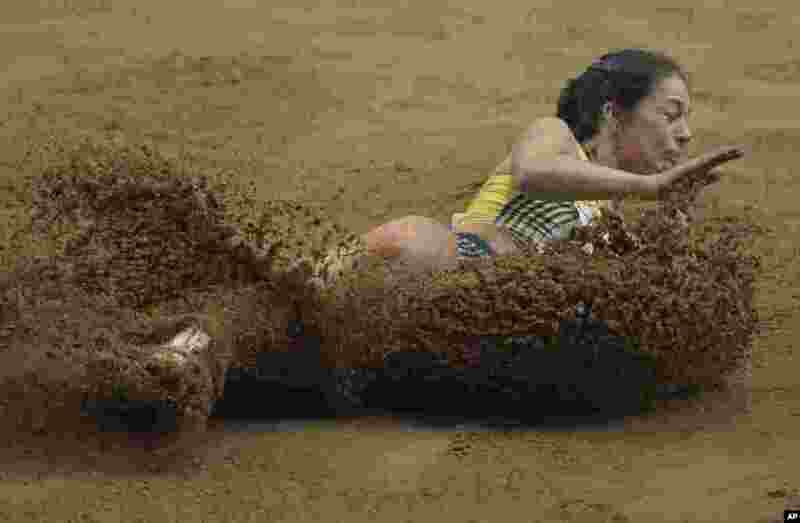 1 Sweden's Sofia Linde competes in the long jump of the women's pentathlon, during the European Athletics Championships in Gothenburg, Sweden. 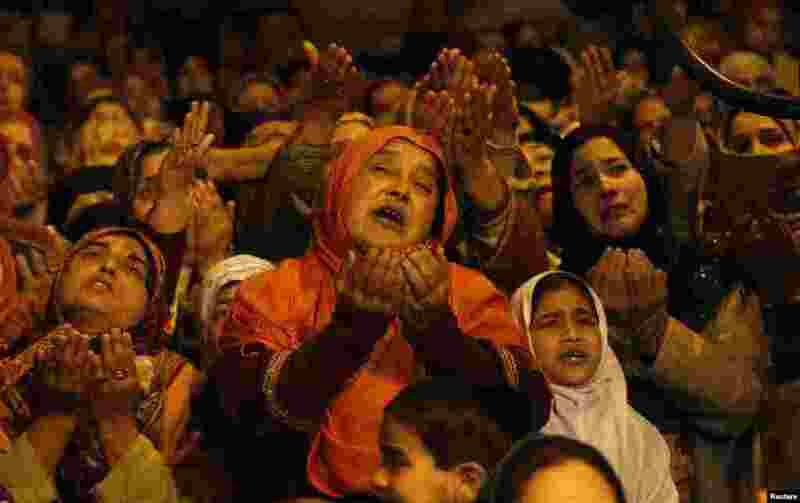 2 Kashmiri Muslims raise their arms upon seeing a relic of Sheikh Abdul Qadir Jeelani, a Sufi saint, being displayed to devotees at his shrine in Srinagar, India. 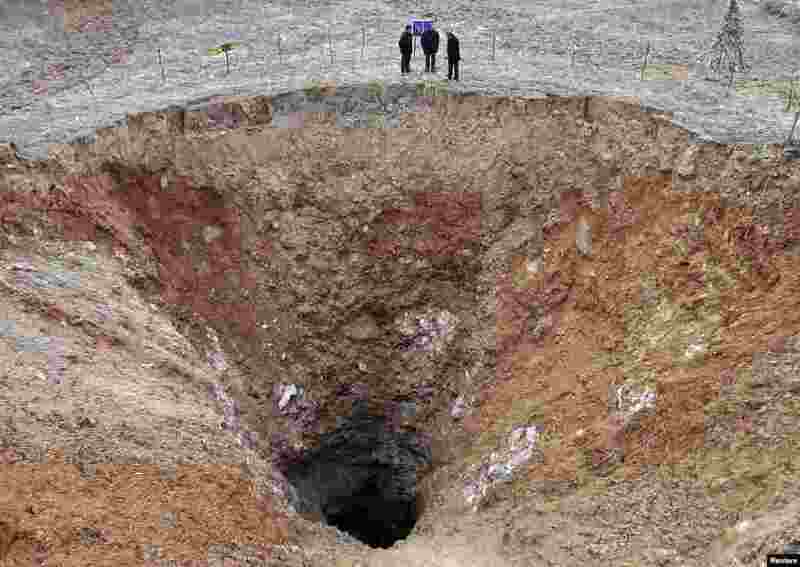 3 People stand next to a 24.9-meter (82 feet) diameter pit at a village in Guangyuan, Sichuan province, China, Feb. 28, 2013. The investigators said the pit may face further sinking after rains due to its geological conditions. 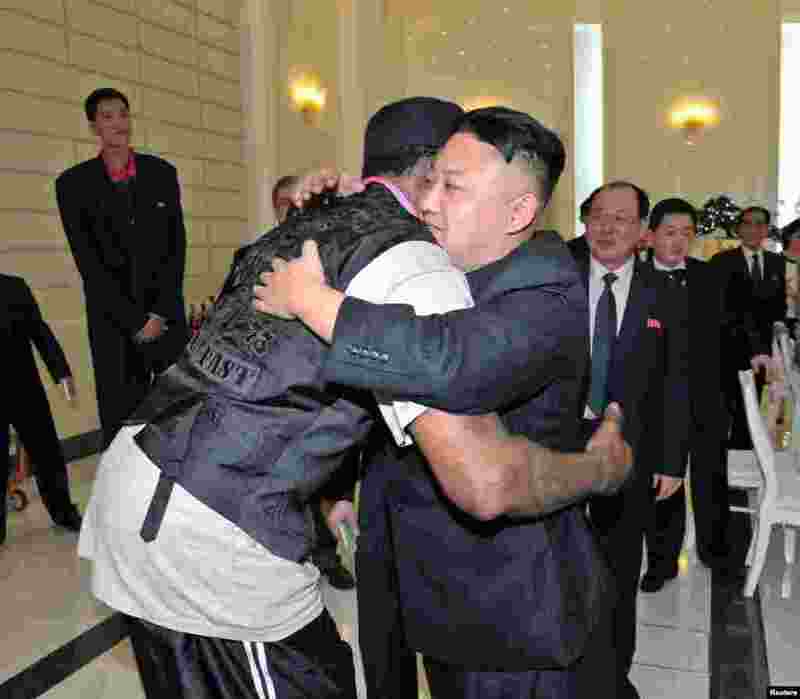 4 North Korean leader Kim Jong-Un and former NBA basketball player Dennis Rodman hug in Pyongyang in this undated picture released by North Korea's KCNA news agency.